In view of this fact, does anyone know the role of Bichsel’s Projects and Technology group in Shell’s aborted Arctic programme? Shell will postpone a second summer of drilling in the U.S. Arctic Ocean as it sends its two drilling rigs to Asian ports for repairs, The Wall Street Journal’s Tom Fowler and Ben Lefebvre report. The move comes as no surprise. 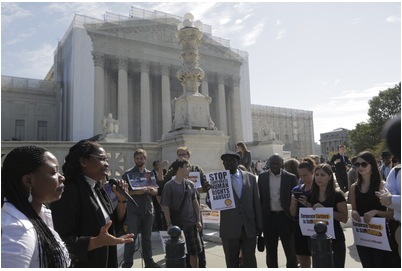 Shell has poured billions of dollars into the region and has no production to show for it. Last year it was beset with problems including bad weather, mechanical failures and regulatory challenges. Royal Dutch Shell Plc (RDSA) says solar power, a business it abandoned four years ago, may expand into the world’s biggest source of energy in the next half century. The proposition that photovoltaic panels will be the main power source by 2070 is one of the New Lens Scenarios Europe’s largest oil company published today in a report on energy demand this century. A second has natural gas as the main fuel by 2030. Royal Dutch Shell has said that it will suspend its offshore drilling programme in the Arctic for the rest of 2013 in order to give time to ensure safety. The decision to pause drilling for oil in the Chukchi and Beaufort Seas off Alaska was widely expected, following a catalogue of problems last year. The US Department of Justice is looking into safety failures at one rig. 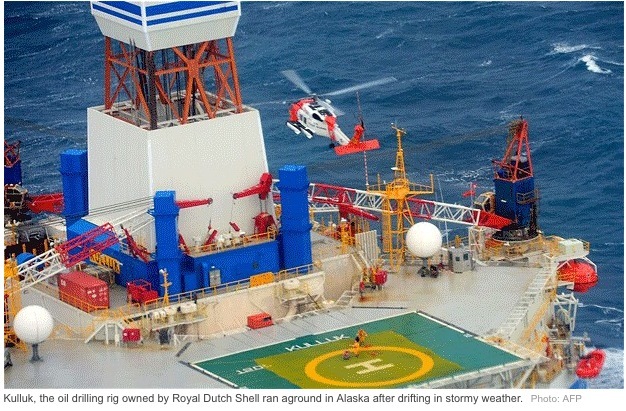 WASHINGTON — After a series of costly and embarrassing accidents in its efforts to drill exploratory wells off the north coast of Alaska last year, Royal Dutch Shell announced on Wednesday that it would not return to the Arctic in 2013. 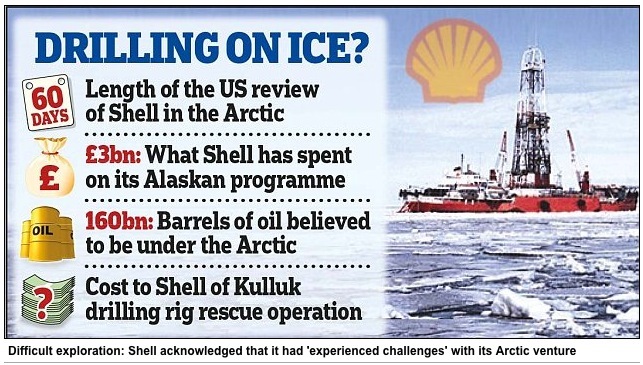 Royal Dutch Shell has called time on its troubled Arctic exploration programme for another year after a series of mishaps in 2012 scuppered its plans to drill for oil in the region this summer. 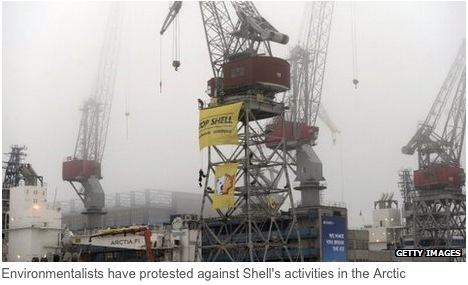 The controversial campaign has so far cost Shell about $5bn (£3.3bn) over seven years. The company has faced a string of delays that have as yet prevented it from drilling into potentially oil-bearing rocks. Royal Dutch Shell plc’s analytic tools may have led it to overestimate the potential resources of an oil and gas field in the North Sea—a reminder that the latest in algorithms and visualization tools, as powerful as they might be, aren’t always right. It is notable that the so-called “pause” is indefinite. Shell has got a bad case of corporate frostbite and may take some time to regroup and recover. The current management was exposed as being inexperienced and hopelessly incompetent. The Race For California’s Shale Is On! : Daily Reckoning-Natural gas is plentiful and oil is coming to the surface, more each day. … Indeed, if New York goes the way of shale, the road may be paved for California. … characters include: Chevron, Shell, Exxon, Occidental and Venoco. 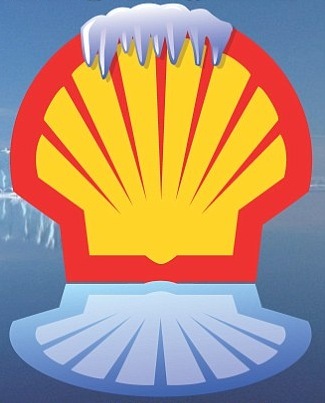 Is Shell Executive Director Matthias Bichsel Trustworthy? Irrefutable evidence proves that Matthias Bichsel knew years before Shell investors that Shell had a major problem over its proven reserves bookings, which were not in compliance with the U.S. Securities and Exchange Commission rules. Like his colleague Simon Henry, the current CFO of Royal Dutch Shell Plc, he participated in the cover-up by not blowing the whistle, thus protecting his own ambitions inside Shell. The evidence suggests he may have had a role in the reserves conjuring process and also has a memory problem. Lets hope it has not deteriorated further. He is not a man who can be trusted to look after the best interests of investors. Matthias Bichsel, a Swiss citizen, is currently an executive director of Royal Dutch Shell Plc. He joined Shell in 1980, rose through the ranks and was appointed as Director of Projects & Technology on 1 July 2009. Can shareholders place their trust in Matthias Bichsel to protect their interests? The answer is absolutely NO, not if his track record is any guide. A Royal Dutch Shell PLC drilling barge that ran aground New Year’s Eve is on the move from near Kodiak Island in Alaska to Dutch Harbor. Shell spokesman Curtis Smith says in an email to The Associated Press that the Kulluk left the bay Tuesday afternoon. Three tugs are towing the barge in a journey expecteKd to take about 10 days. AMSTERDAM – Royal Dutch Shell says it has struck a deal with Spain’s Repsol SA to buy Repsol’s liquefied natural gas assets in Peru and Trinidad & Tobago in a deal worth $6.2 billion. Shell said it would pay $4.4 billion in cash and assume $1.8 billion in Repsol debt and other obligations. The deal also includes a gas-fueled power plant in Spain. Coast Guard Chief Petty Officer Kip Wadlow said the Justice Department was now in charge of any potential sanctions against Shell or Noble, and Assistant U.S. Attorney Kevin Feldis confirmed it was now in the department’s hands. 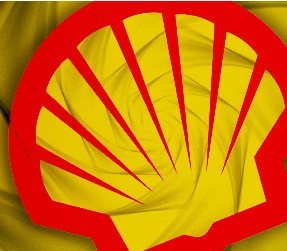 (Reuters) – U.S. federal prosecutors have been asked to take legal action over safety and environmental violations discovered on one of two drillships Royal Dutch Shell used last year in Arctic waters off Alaska, officials said on Monday. Spain’s Repsol SA may announce this week the sale of several of its liquefied natural gas assets to Royal Dutch Shell PLC for a total between 1.50 billion euros ($1.98 billion) and EUR1.7 billion, reports Expansion, citing financial sources. Repsol’s regasification plant in Canada will be excluded from the sale to Shell, as it is operating below its capacity and likely would force Repsol to make provisions on that asset, the paper adds.